Last summer I had the privilege of photographing a much larger family group and one of the families included was the Smith family! I love when someone contacts me after being a part of another shoot. It is little things like that, that keep me going! 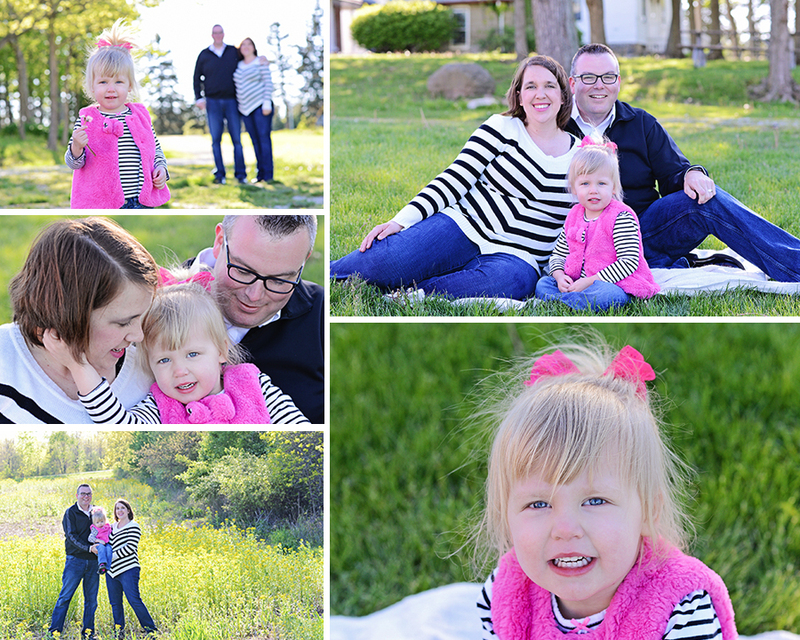 The wind and cool temperatures made this spring portrait session feel more like early March than May! None the less this family of 3 worked the wind and cool temps to result in some stunning family pictures. Ms. Brooklyn was full of personality, which made for great candid shots. Here are some of my favorite shots from the session and be sure to check all the Smith Family proofs here.